Road construction. It seems like it’s never ending. Some have joked that Ohio has only two seasons – winter and road construction. And the images in the Street Improvement collection would certainly seem to validate that. What is interesting about the images in the collection of street improvements is that many of the streets recorded in the photographs no longer exist. Or, where they do still exist, they are named differently or the surroundings have been altered to the point that the location in the photograph is no longer recognizable. One major example of a street changing in both name and appearance is Laurel Street – or as we know it today, Ezzard Charles Drive. Originally a narrow street lined with brick row houses and businesses, Laurel Street extended from 1247 Plum Street west to Freeman Avenue, with the Cincinnati Symphony Orchestra Hall towering over the eastern end of the street, as if keeping watch over all who passed. In the winter of 1921, subway construction made its way north along the canal bed to the Laurel Street intersection, where a tunnel ventilator was constructed. (Left) Construction of subway ventilator opposite Laurel Street, January 12, 1921, 2:02 p.m.
(Right) Laurel Street, west of Canal, with Cincinnati Symphony Orchestra Hall in center background, April 21, 1920, 3:47 p.m.
Laurel Street was first renamed in 1932 when the Cincinnati Union Terminal was under construction at the opposite end of Laurel Street, west of Freeman Avenue. Construction of the terminal meant widening of the streets around the station, in anticipation of increased traffic. At that time the street was renamed “Terminal Parkway”, and often referred to as “Terminal Approach.” Many of the existing buildings, both residential and commercial, along Laurel Street were razed to make room for the expansive parkway to be constructed. After the parkway was completed and Union Terminal opened in 1933, the street was again renamed in 1935, becoming known as “Lincoln Park Drive” and welcoming residents and travelers to the soon-to-be-bustling Union Terminal. 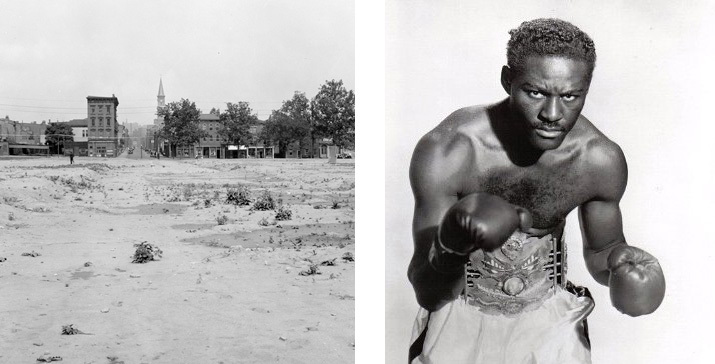 The street would remain so named for 41 years until changed again in 1976 to “Ezzard Charles Drive” in honor of Cincinnati’s own World Heavyweight Boxing Champion, Ezzard Mack Charles. 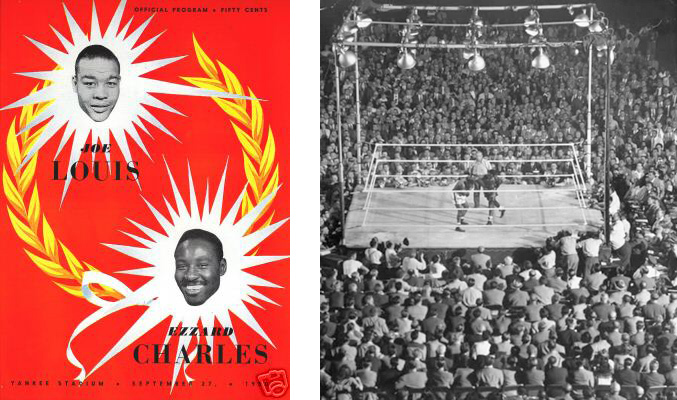 On September 27, 1950, Charles won the title of World Heavyweight Champion when he defeated Joe Louis in a 15-round match at Yankee Stadium. This project is funded by a grant for $60,669 through the Library Services and Technology Act, administered by the State Library of Ohio.